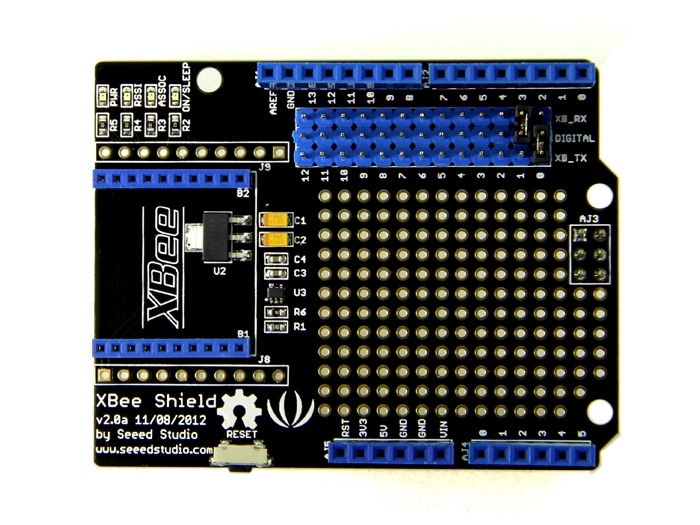 The new version of XBee Shield is a standardized and stackable shield compatible with Arduino. 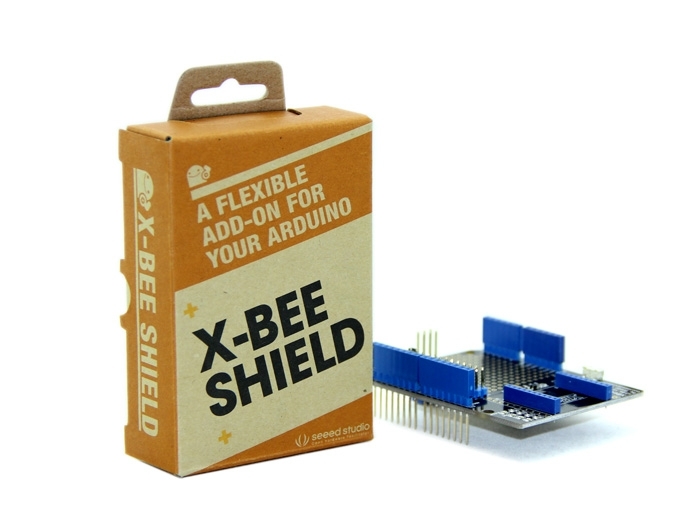 You can easily stack any modules from the Bee series onto it, and build a wireless network for your project. 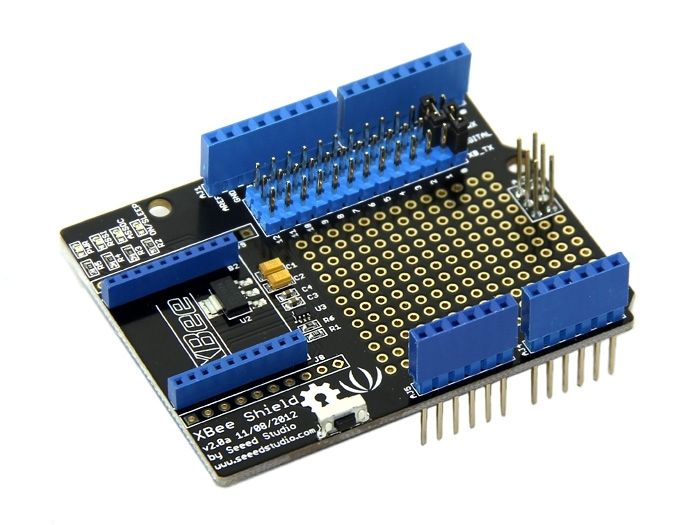 In spite of that, it is also equipped with function of level conversion, which enables a double-way conversion between high& low IO levels. 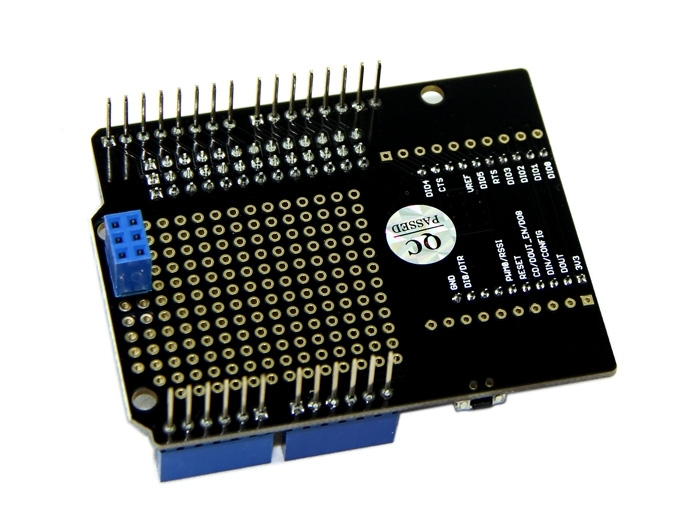 The reserved digital pins facilitate users to select TX/RX port using jumper caps.